All knives lose their sharp edges when you run them across cutting boards again and again. They turn dull just from cutting food. 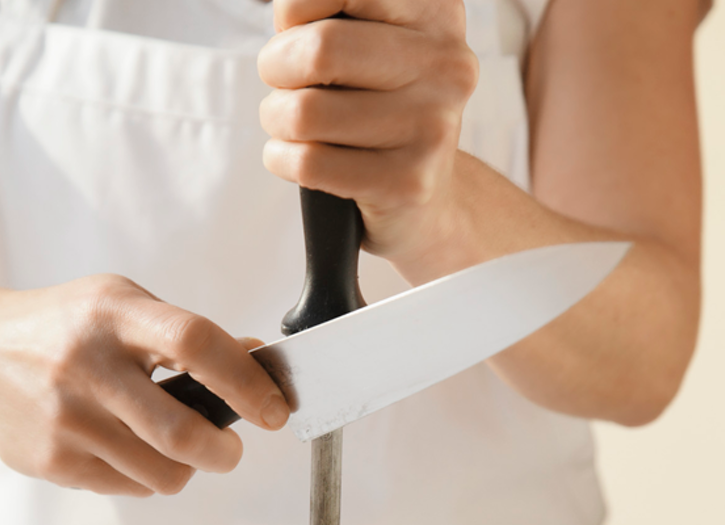 If your knives are dull, you'll need to work harder and longer to cut your food, raising the chances that you will slip while exerting too much force. 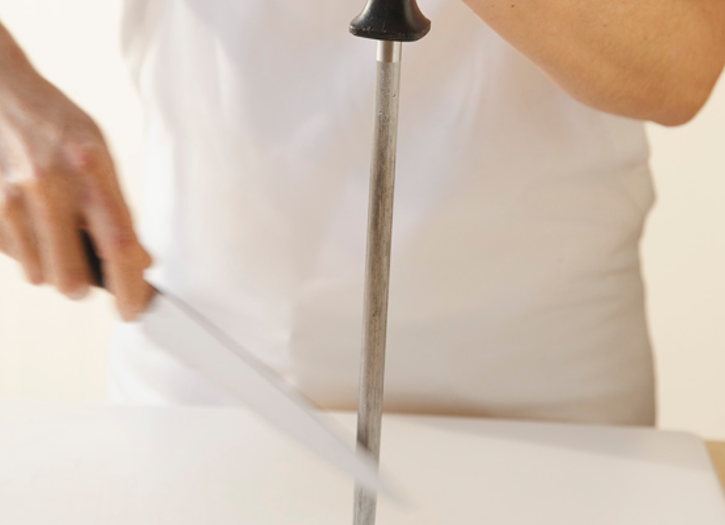 A sharpening steel doesn't sharpen a knife as much as it straightens the crooked edges. 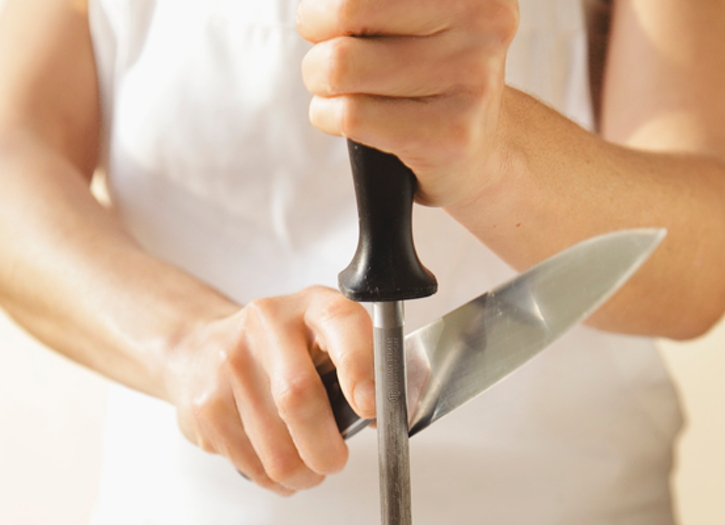 The safest way to do this is with the "butcher's method." Point the narrow end of the steel facing down on a cutting board. 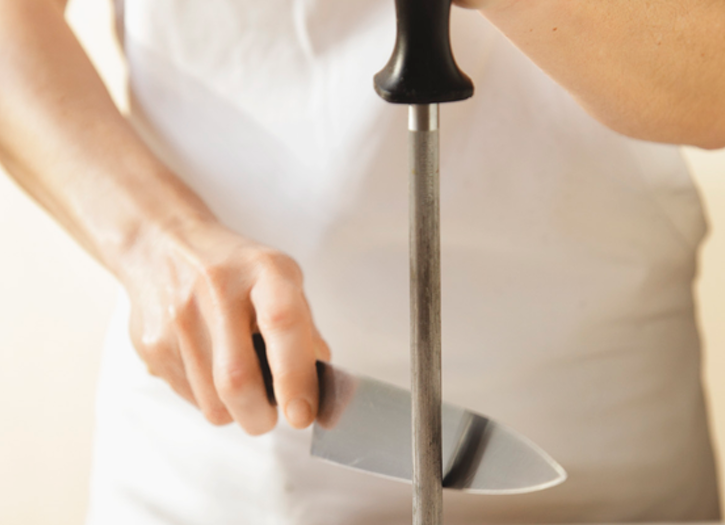 Position the heel of your knife somewhere between 15 and 20 degrees near the handle of the steel. Swipe the blade down one side of the steel, pulling the knife toward you at the same time so that every part of the blade—from heel to tip—runs along the steel. 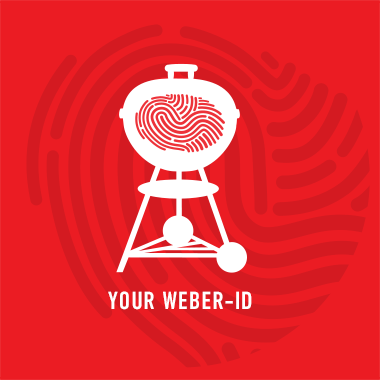 Repeat the swiping action on the opposite side of the steel. Continue to swipe on both sides of the steel a few times, or until the knife can easily cut through a piece of paper.